A City Council committee took the first step Wednesday to address the gaping holes in mental health services for residents in minority neighborhoods. Calling the 2012 closing of six public mental health clinics a mistake, the City Council Health and Environmental Protection Committee voted to create the Public Mental Health Clinic Service Expansion Task Force to explore the voids left ever since and make recommendations to the committee. Since the closings, hospitalizations for behavioral mood disorders are on the rise, according to Healthy Chicago 2.0, a report commissioned by the Chicago Department of Public Health in 2016. This task force will include a mix of aldermen from high-need wards, Chicago Department of Public Health representatives and four additional members designated by city government. Once formed, the task force has 180 days to survey and assess community needs before providing recommendations. 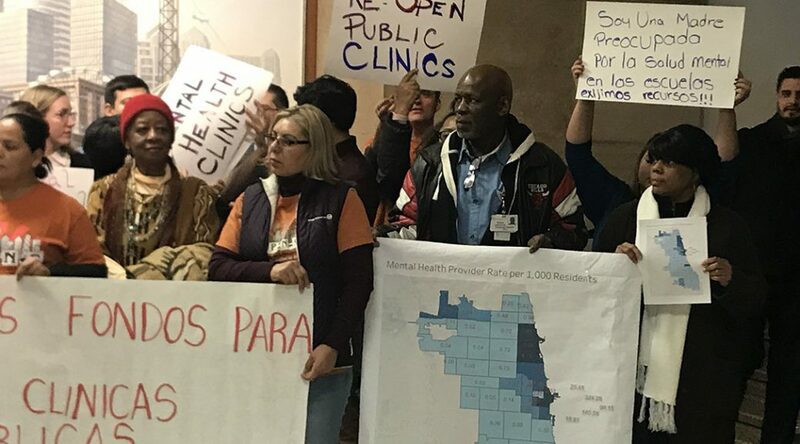 When the clinics closed, the CDPH planned to refer patients to existing treatment centers that could continue to provide affordable and accessible care, a promise multiple aldermen recounted during testimony. However, it’s evident that the transition hasn’t been as seamless as advertised, instead sending more people to hospitals for emergent mental health treatment, according to the CDPH report. Such trips now represent one in every six hospitalizations city wide and eclipse the national average by more than four times. Hospital visits for mental health needs are most frequent in neighborhoods with large black populations such as East and West Garfield Park, Uptown, Englewood, Washington Park and Woodlawn. Chicago’s limited mental health infrastructure remains inaccessible to most, largely due to high costs and wait list times of more than one year in some cases, according to Arturo Carillo, licensed clinical social worker and program manager at Saint Anthony Hospital’s Community Wellness Program. “Our research shows that 80 percent of residents on the Southwest Side and 62 percent of residents in Lawndale want mental health support, but cost is the most prohibitive factor,” Carillo said. Where there are high levels of untreated mental trauma, we also see high levels of violence, he added. CDPH acknowledged the need for more uniform coverage, especially in the city’s highest risk neighborhoods. However, it disagreed with the resolution’s stance that re-opening clinics should be part of the solution. “We believe that providing primary care and mental health under one roof is the ideal solution, not expanding the number of mental health specific clinics,” said Allison Arwardy, Chief Medical Officer at CDPH. She cited the 6,000 people receiving mental health treatment through the department (up from 5,000 people before 2012) as evidence that this approach is working. Instead, Arwardy advocated for ramping up psychiatric services at existing providers, better connecting residents to resources and investing in Federally Qualified Health Centers, which receive federal funding and are required to treat anyone, with or without insurance. The resolution, spearheaded by Alderman Sophia King (4th), passed with unanimous support.